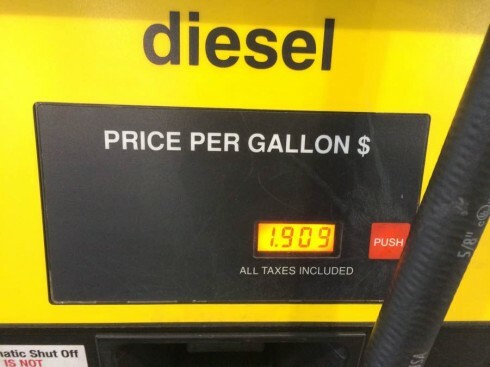 I detoured to stop my dad’s house in Sidney Ohio on my way back from NE Ohio on Thursday night while driving the ’82 Mercedes 300D Turbodiesel and was shocked to fill up for only $1.90/gallon. When was the last time diesel fuel was priced at these levels? Amazing … but can’t imagine it can stay this way for much longer — eventually the surplus will disappear.